(by Eileen Dombrowski, from OSC blog Sept 1, 2014) Behind the stark issue of climate change — like the other challenges of our times — looms a concept essential to explore in Theory of Knowledge: shared knowledge. How does knowledge reach people? Through what process of sharing does the public gain knowledge that will affect their lives? Two recent news reports highlight contrasting processes by which knowledge claims on climate change reach the public — with profoundly different implications for action. the second is an announcement that 10 of the world’s top public relations companies have publicly declared that “they will not represent clients that deny man-made climate change or seek to block emission-reducing regulations”. The IPCC report is undeniably significant in summing up the current state of scientific knowledge, including strong warnings about the future. But is it possible, for the way knowledge is shared with the people whose lives are affected, that the story about the PR companies may be even more important? The non-news: IPCC confirms the scientific consensus, updating it. 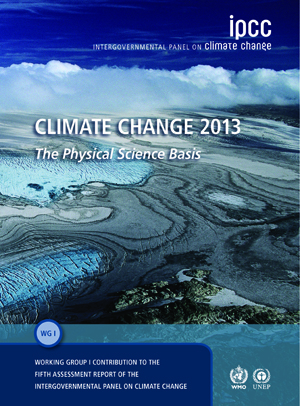 The IPCC report is a synthesis of what the international group of scientific experts have communicated already. They have followed the methodology of science to share their findings with each other, have reported their consensus to a world body, and are giving us knowledge that has urgent implications: that we have to act fast to mitigate the impact of climate change that is already upon us. But these implications are the very reason for the false “controversy” over climate change that has claimed so much media space. 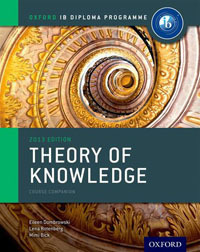 The first two knowledge claims are scientific conclusions, justified on the basis of evidence. The third is not. It is ethical, political, economic….it is social, involving people and change. It is an imperative for action resisted by coal and oil companies, whose profits would be affected by regulation. In the case of climate change, the implications of the scientific conclusions have all along been the reason for industry denial of the science and their funding of the denial campaigns. The real news: Many PR companies will no longer accept clients or campaigns that deny climate change. The withdrawal of major PR companies from funded disinformation does not, unfortunately, solve the problem of increasing greenhouse gases. The IPCC report, as reported in the New York Times, found that efforts around the world to limit emissions are being “overwhelmed by construction of facilities like new coal-burning power plants that will lock in high emissions for decades.” Moreover, PR companies still remain who have not made any commitment to reject campaigns to block information or disseminate disinformation. However, the rejection of disinformation campaigns by some of the largest firms has made a change in the social context for the fake “debate” over the science of climate change. This entry was posted in IB Theory of Knowledge and tagged knowledge questions, methodology, perspectives, shared knowledge. Bookmark the permalink.